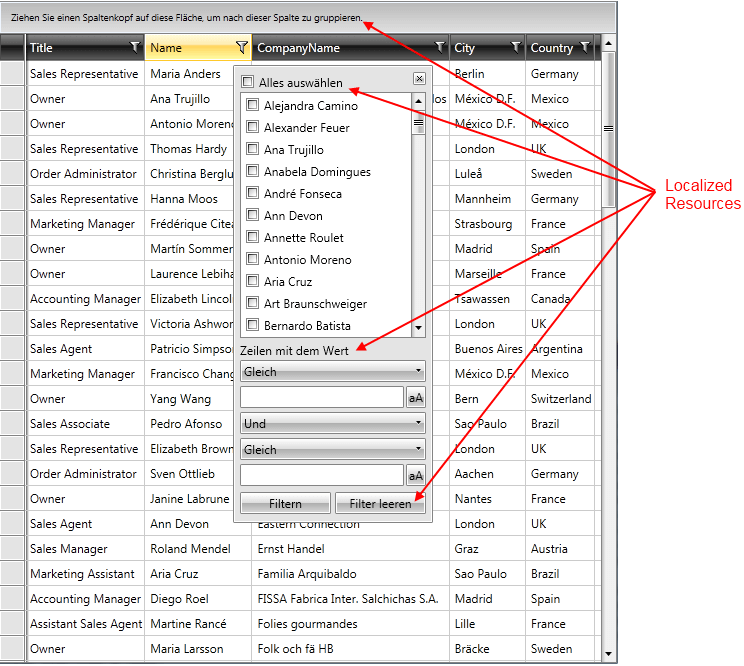 All examples in this article are demonstrated in the context of the Telerik RadGridView control. However, the techniques and principles used for the localization of the string resources are valid for all the other Telerik Silverlight controls. Then, you must define your preferred languages in the <Supported Cultures> tag of your project file in order to notify the framework about the supported cultures. To do so, open the project file with a text editor and insert the code below into the <PropertyGroup> section. The next step for defining the language settings of the application is changing the Current Culture of the application. If you rely on culture settings to load the right resources automatically, you have to write some code inside your application's project file. For example, if you have to support English and Dutch languages, you can store the localized strings in Resources.resx and Resources.nl.resx files. For the Resources.resx file, you can set ResXFileCodeGenerator to Internal or Public and for others, to No code generation. Then, open the project file in a text-mode and insert the code below into the <PropertyGroup> section. In this way you notify the framework about the supported cultures. 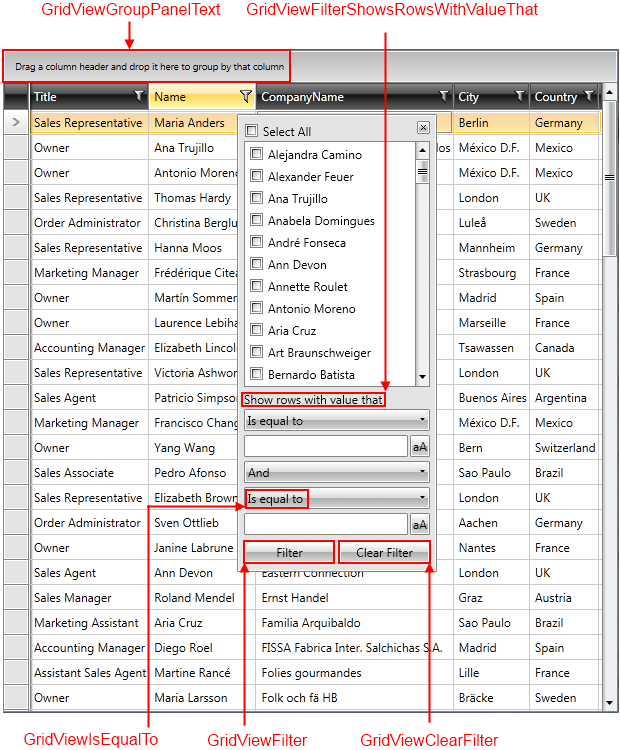 Please note that not all controls from the UI for Silverlight suite support dynamic localization out-of-the box. You can, however, edit the control templates of unsupported controls and use the LocalizableResourceExtension wherever possible.